Seton's Inspection Tags are made for equipment that must be maintained and serviced on a regular basis. Document inspections with tear-away tags that provide space for all necessary information. Most tags are made from heavy duty card stock, while others are made of rustproof aluminum, ensuring the same durability as your equipment whether indoors or outdoors. Stay compliant with the latest OSHA standards by downloading our fire extinguisher inspection tags guide. All types of equipment needs to be inspected on a routine basis. Things like fire extinguishers, propane and other types of tanks and cylinders, forklifts and other machinery, elevators, escalators, and many others need to be checked by professionals regularly to make sure that they continue to run safely and efficiently. The use of Inspection Tags can help to track inspections of equipment in your building or around your location. 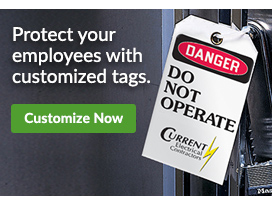 Choose from Two-Part Status Tags - Done/Do It, Status Tags - Ok To Use/ Maintenance Needed, Fire Extinguisher Inspection Tags - Next Inspection, Battery Charging Record Safety Inspection Labels and more.